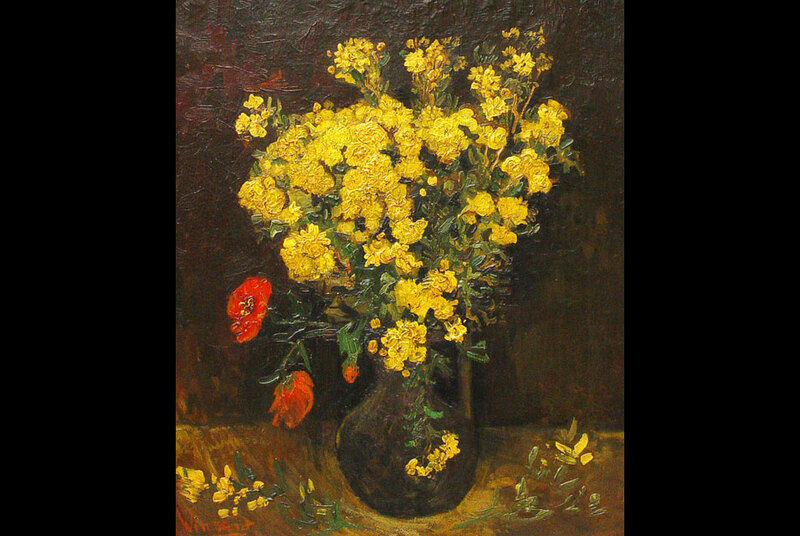 Vincent Van Gogh's painting entitled 'Poppy Flowers'. EPA/EGYPTIAN CULTURE MINISTRY. CAIRO (REUTERS).- An Egyptian court on Thursday jailed five officials, including a former head of the state's fine arts department, over the theft of a Van Gogh painting worth an estimated $55 million, state media said. "Vase with Viscaria" was stolen in August from Cairo's Mahmoud Khalil museum, home to one of the Middle East's finest collections of 19th and 20th-century art. The state MENA news agency and court officials said the five had been found guilty of "causing the theft of the painting," without giving further details. A police investigation soon after the theft found that security measures at the museum were extremely lax, raising fears about the safety of the treasure trove of art and antiquities on display in Egypt. Legal sources said the court sentenced Mohsen Shaalan, who was head of the culture ministry's fine arts department, to one year in jail and ordered him to perform community service. Four other employees at the museum were given six-month prison terms, said the sources. The museum houses works assembled by Mohammed Mahmoud Khalil, a politician who died in 1953, including paintings by Gauguin, Monet, Manet and Renoir, as well as the Dutch post-Impressionist master Vincent Van Gogh. Egyptian billionaire Naguib Sawiris offered a 1-million pound ($168,000) reward for information leading to the recovery of the painting.